Ms. Marianne explaining to colleagues in the academe about the implementation of the CVIF-Dynamic Learning Program for K-3 and SPED. La Salette administrators EVP Mrs. Marianne Tan-Lor and VP Mr. Rex Lor were tapped as speakers of the 6th CVIF-Dynamic Learning Program (CVIF-DLP) National Workshop held at the Davao Christian High School last April 22 to 24. The annual event was organized to obtain feedback from schools adopting the Program and find ways to further improve the framework. More than 500 school administrators and faculty members from across the country attended the annual event. Mrs. Marianne Tan-Lor delivered a much-anticipated talk about La Salette’s implementation of the CVIF-DLP for Kinder, Grades 1-3 and SPED. 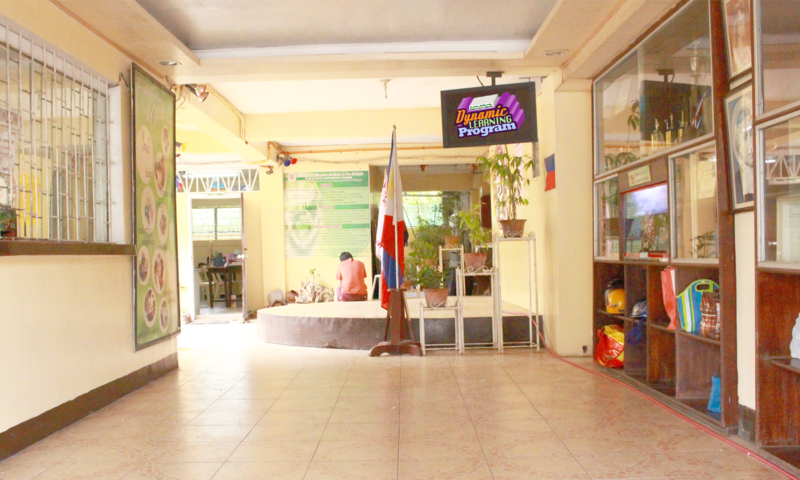 La Salette is the first school in the Philippines to innovate and implement the CVIF-DLP beyond Grades 4-10. Mr. Rex Lor, on the other hand, presented the Researches on Handwriting in Learning. On the second day, both La Salette administrators facilitated a Learning Session on preparing for the CVIF-DLP Certification. The CVIF-DLP Founders Dr. Christopher and Dr. Ma. Victoria Bernido also presented La Salette School with a Plaque of Recognition as the first CVIF-Dynamic Learning Program Certified School in the country towards the end of the 3-day workshop.